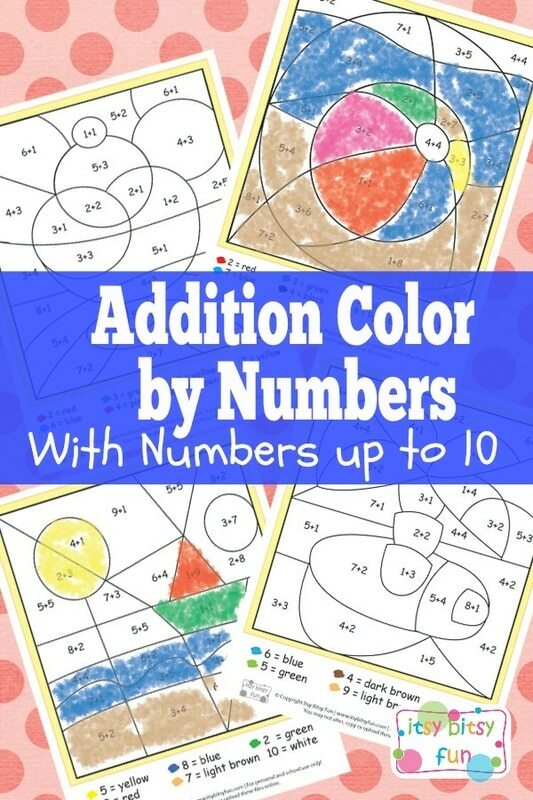 Math can be boring, I know and that’s why I started making these math color by number addition worksheets. 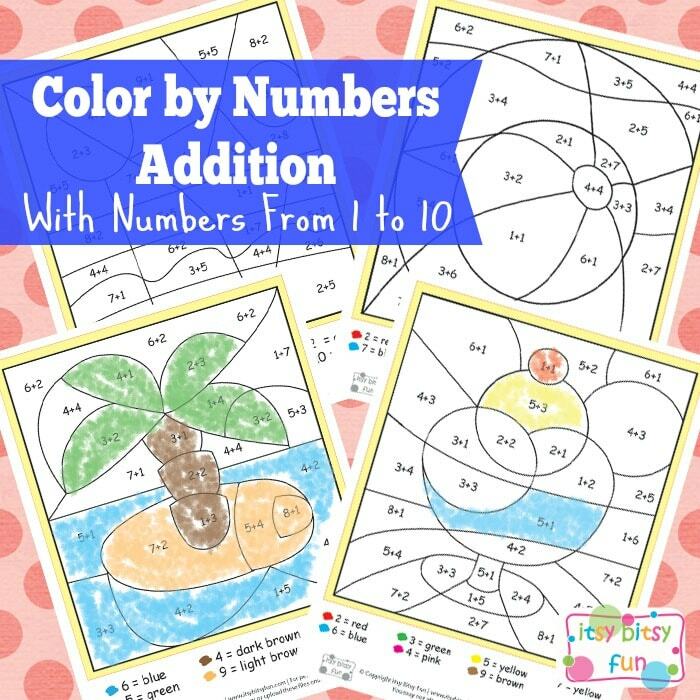 If your kid is just starting with numbers be sure to check the regular summer color by numbers worksheets as they have the same images minus the math. These have simple equations dealing with numbers up to 10 (the results) so they are great for kids in kindergarten (the end of it not the beginning) and 1st graders. Older kids will find them super easy but they can still do them for fun. Let’s do some math shall we? But first we’ll have to solve a few math equations to get there! The difficulty level of these is pretty much the same, I didn’t want to make them to complex so that the kids can finish them easily. Just print them out and have the kids have some learning fun! Get your own free printable Summer Color by Number Addition Worksheets here. There are quite a few learning printables already in my free printable worksheets for kids collection so be sure to browse it. If you’re working on learning the numbers from 1 to 100 be sure to also check my free printable snakes and ladders collection as learning through play is always the most effective.